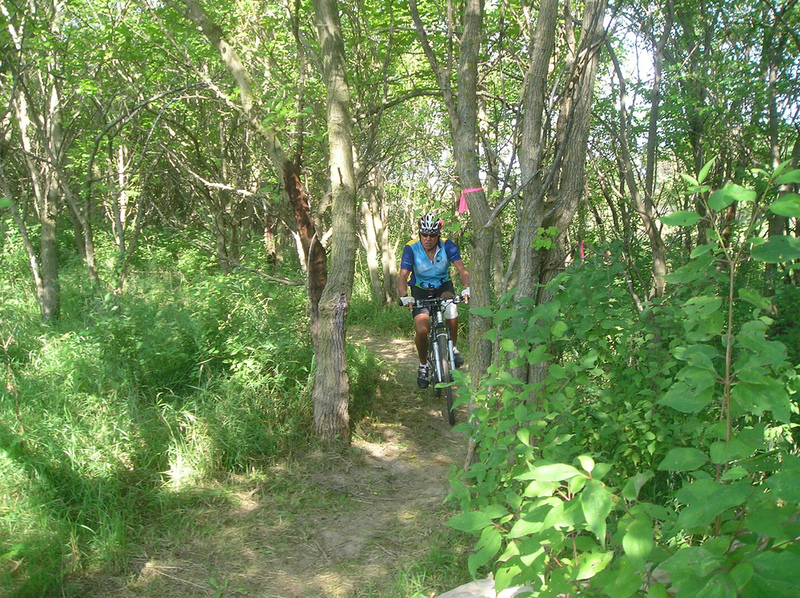 Enjoy five miles of mountain bike trails at Scott County Park. Trails built and maintained by http://www.qcforc.org with assistance from Scott County Conservation. Call Park Office to confirm trails are open before arrival at (563) 328-3282 Ext #1. Only ride on trails that are marked for Mountain Bike use. Do not ride on closed trails. Do not cut new trails. Pets must remain leashed at all times. Any violation of the rules and regulations could result in a citation or revocation of park privileges. It is our privilege, not our right, to use this park. Abusing this privilege may result in the closure of these trails. Please conduct yourself appropriately. Park at the Pride Lake parking lot at the new trail head. If the south lot is full, park in the north lot across the road. Do not park on the grass. When facing the kiosk, look a couple hundred feet ahead of you. 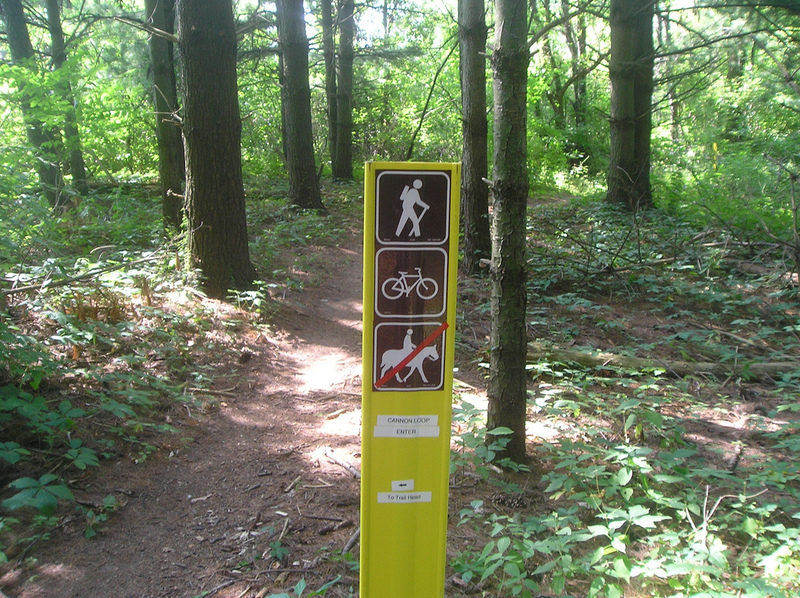 You’ll see the first yellow trail marker marking the trail head. Follow the grass track and the trail markers labeled MTB. That will take you to the start of the Main North Loop. Refer to the trail map for access to the Golf Course Loop and the Cannon Loop from the Main North Loop. Please be aware that this is a brand new trail system. Some of the trails and signage are still under development. There are modern public bathrooms with water available at the Buffalo Bill Pavilion. Be courteous if the pavilion is already being used by another group. 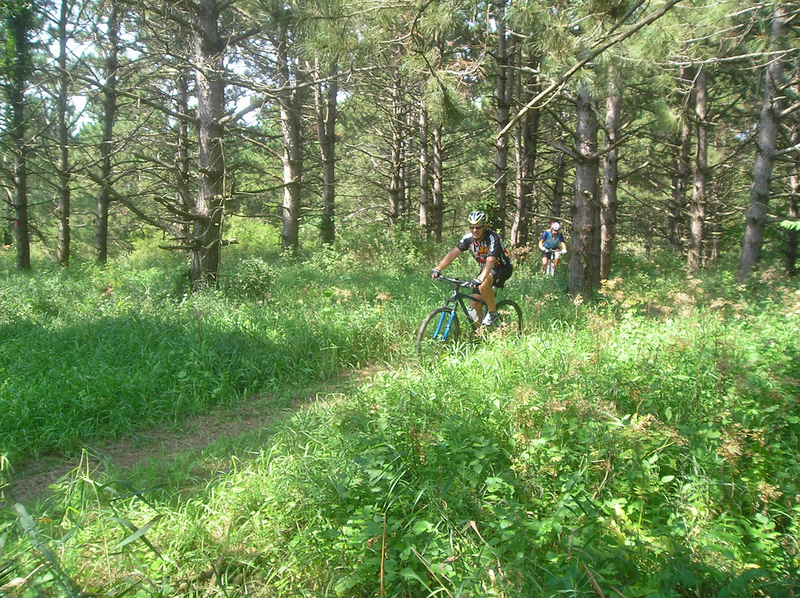 As with any new singletrack, there may still be thorns in and around the trail. At least for a while, flat tires may be a part of the Scott County Park experience. Remember to bring extra tubes and a pump whenever you ride.